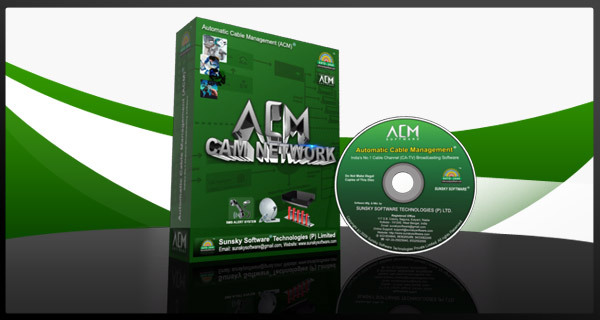 ACM Cable Account Management (CAM) is a Management & Billing Software to manage your Cable-TV Subscribers and keep proper accounts of their collections. Operator, Collector, Scheme, Area, Node, Amplifier etc. • Multiple Customer ID Series. • Instant Bill, Money Receipt Printing. • Inbuilt Auto SMS Sender using Mobile/GSM Modems. • Staff Management and Payroll System and more. • Any Normal P-4 Type Desktop/Laptop.